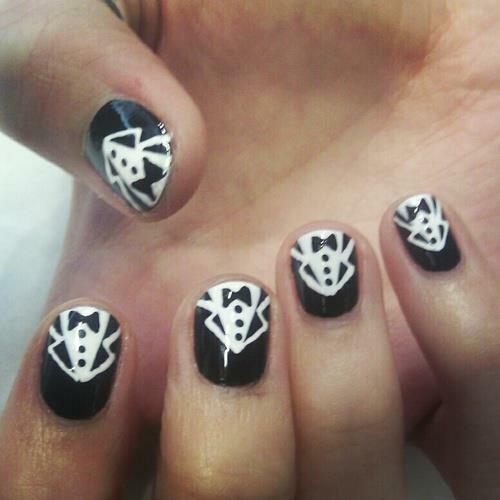 Firstly, please ignore the fact that my nails are painted awfully, however relish the fact that I gave it a go! 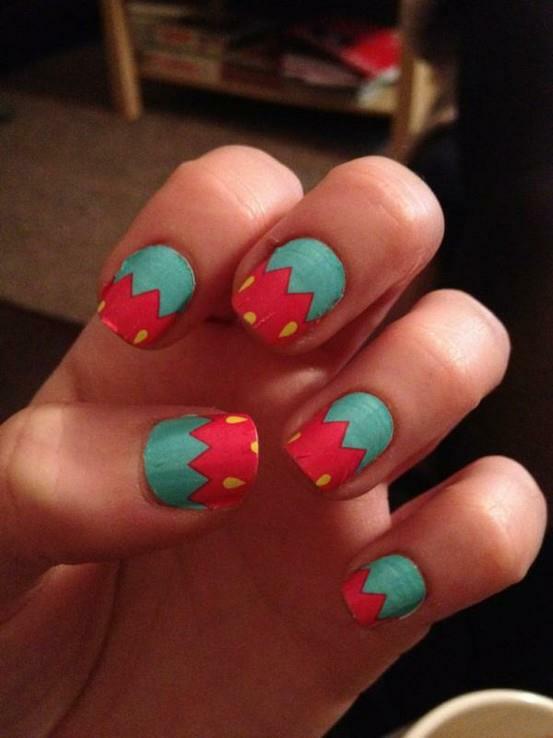 Yesterday I went to my friend Lauren’s house and we watched lots of films, had a nice catchup and painted out nails! I decided to use lots of festive colours and excessive amounts of glitter and I also did a little red snowflake design on my thumb! I had a great evening and it is finally dawning on me how near christmas is-Only a few days to go!! I hope you’re enjoying the christmas period and feel free to share your christmas nails with me! !- Enjoy!! 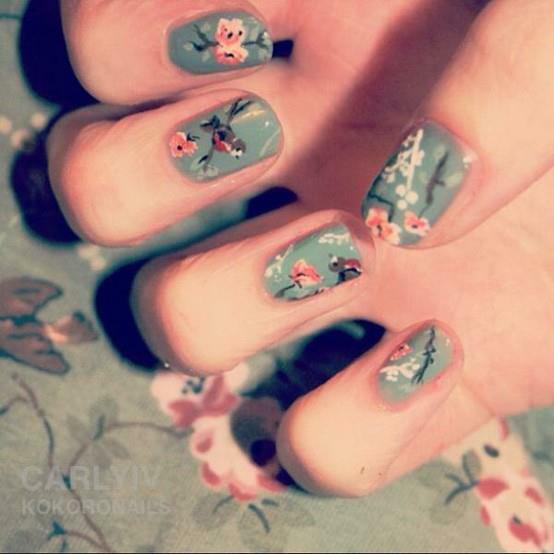 I know I have done about 2 nails posts before but I have become so drawn into how many amazing designs people can create on the tiny surface area that is our nails. 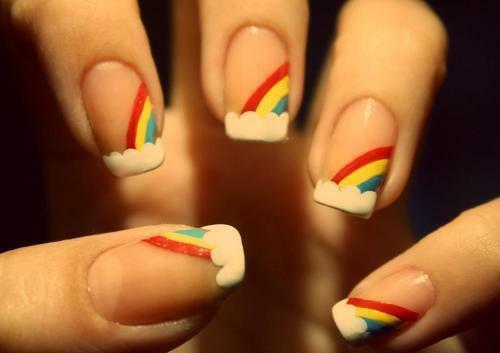 I have uploaded a series of pictures below of more nail art designs: all of which are so intricate and range from bananas to rainbows!! Enjoy!! Just a quick post to show these super cool nail designs I have discovered!! 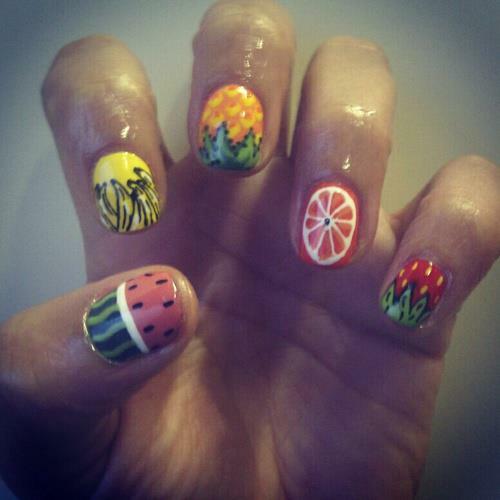 A couple of weeks a shared a pictures of some watermelon nails they were quite cool but these watermelon nail designs are 1,ooo times better and look so much more professional!! 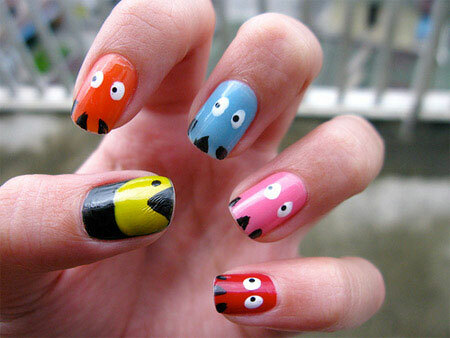 The second picture is of these super cool pac man nails which are so quirky and fun. The last picture is of these super cute pink and white hounds tooth pattern ones (think that’s the name!?!) !! 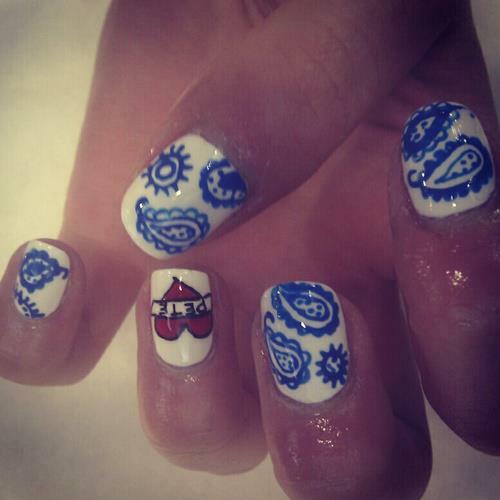 Really need to buy some stick on ones or something as I am not capable of achieving such fantastic designs!! 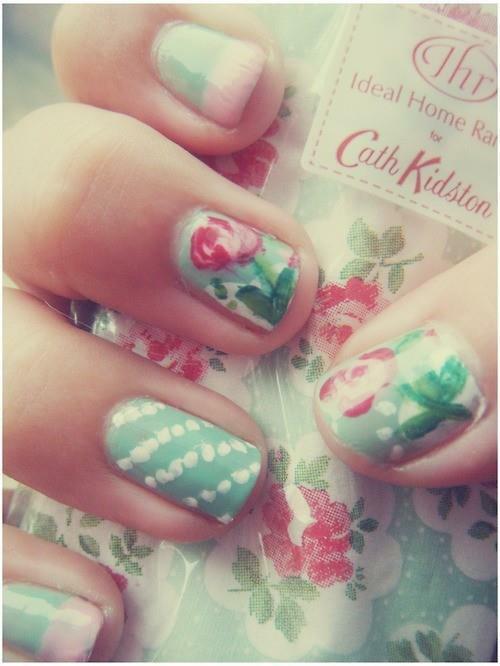 Nails are almost like an accessory for an outfit as they add personality and a sense of fun to any look!! Enjoy!! Just a super quick post to show these awesome nails!! I love to paint my nails and have tried experimenting recently, however I have not found the nack of how to make them look good and mine always so incredibly messy. 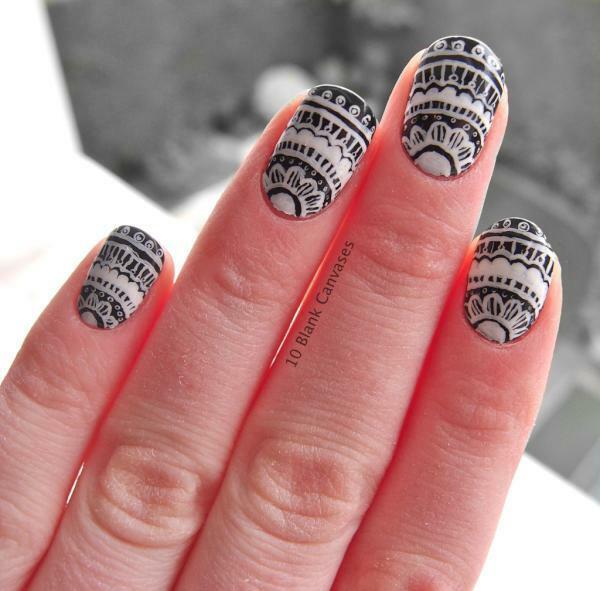 I love all the cool designs who can do and I think you can use a thin brush to do things like this or you can also use nail stickers. 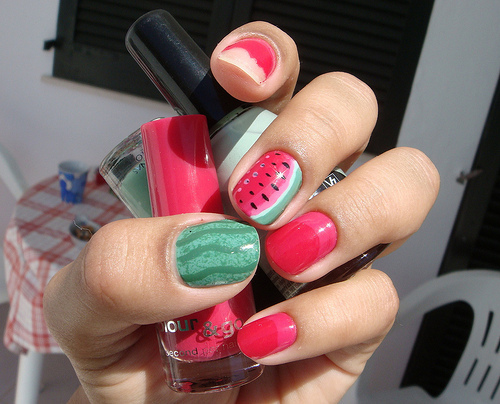 These watermelon ones are super cool and so brightly coloured. 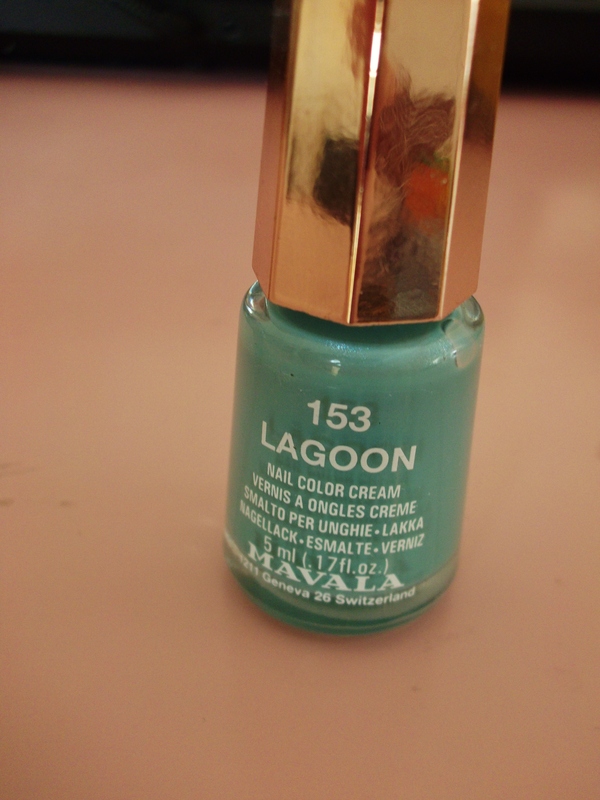 They are a brilliant beauty feature for summer and really add a zing to any outfit!! Enjoy! !